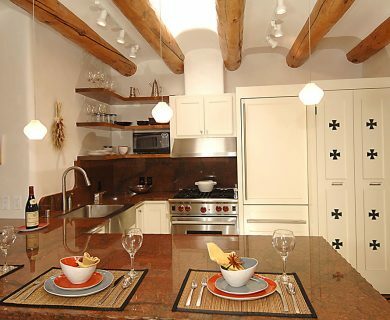 Stay in our luxury rental homes within walking distance of the world famous Santa Fe Plaza! 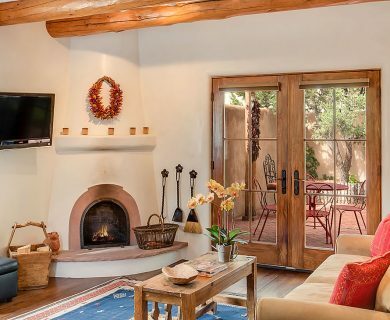 Adorned in historic buildings such as the San Miguel Mission, Palace of the Governors, and Basilica of St. Francis of Assisi, Santa Fe, New Mexico is a coveted vacation destination and warm weather retreat that is rich with archaeological history that dates back as early as the 1200s. 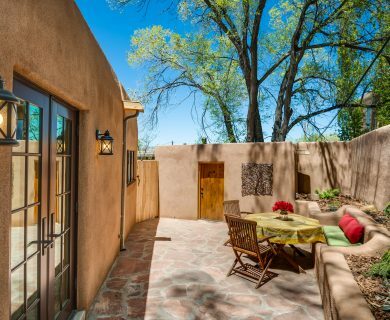 Santa Fe is a city where art and traditional Native American culture collide and offers an experience that enriches the soul while allowing you to relax and unwind. 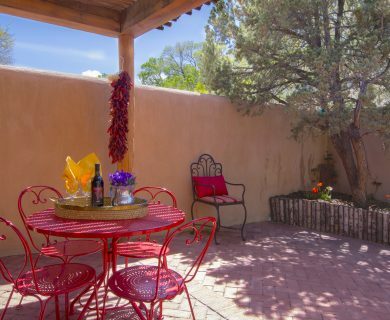 Pack your bags and come down to Santa Fe, to indulge in all of the sophistication that this city has to offer. 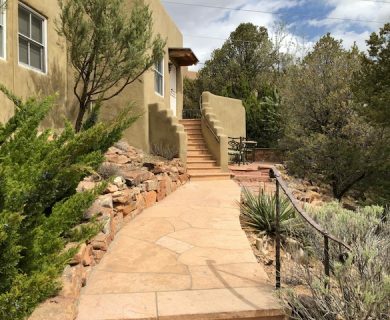 AQUI Santa Fe Vacation Rentals will provide you with an experience that is quiet, relaxing, filled with luxury amenities, and right near the famous Santa Fe Plaza! 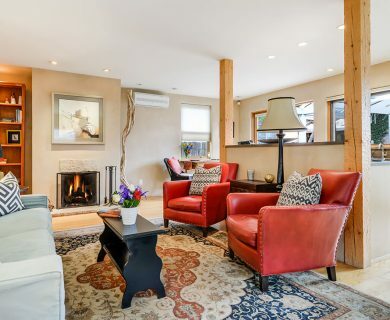 From sun-soaked private patios with a view to soothing Italian bed sheets that seem to melt around your body the moment you crawl into bed at night, our rental home designers make your comfort their top priority. 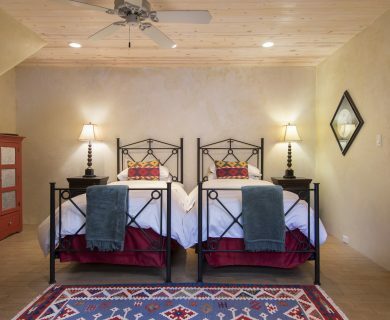 Each rental home at AQUI is filled with modern furnishings that are sophisticated, yet kissed with the natural elements that the southwest is known for. 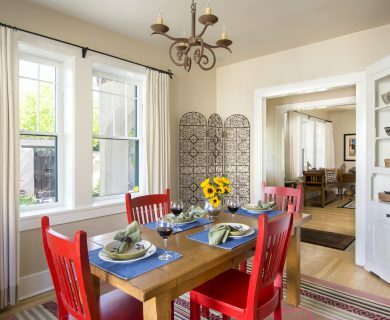 Each rental home near the Plaza has a carefully chosen name to tell a story of where it is located and the kind of experience you can expect from the moment you step through the front door. 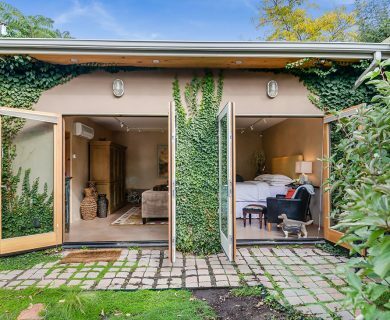 There aren’t any cookie cutter rooms, like you would expect from a chain hotel, but a true vacation retreat that is customized to your specific needs. At AQUI, our guests become members of our exclusive family. 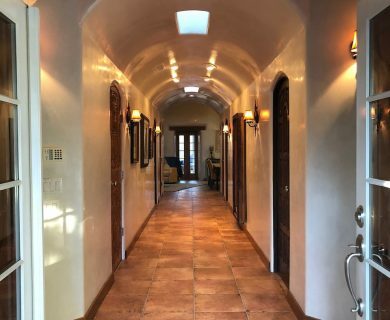 We greet you at the front door of your rental home to hand-deliver the keys and make sure that the temperatures are comfortable, the lights are turned on, and your expectations are fulfilled. 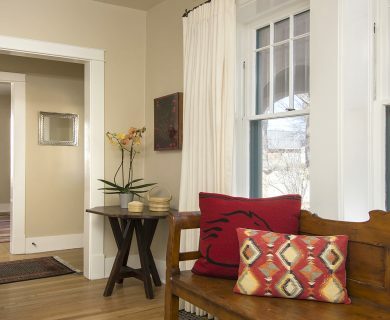 We provide weekly housekeeping and daily upon request. 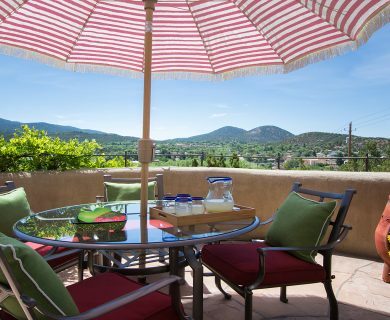 You will love your breakfast basket filled with gourmet treats made from local culinary artisans, and we can help you locate the best attractions to visit based on your personal preferences. We also provide ETRO toiletries and cozy Pratesi robes for each guest. Should you need anything else to make your stay even more exceptional, our guest service agents are only a phone call away. 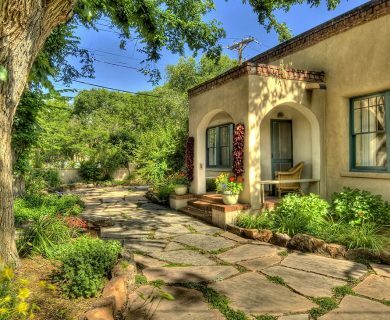 Constructed in 1610, the Santa Fe Plaza is the gem of the city, and is conveniently located within walking distance from the rental homes at AQUI. The Santa Fe Plaza is home to abundant vendors that sell Spanish and Indian fine jewelry, foods, art, and gift items. Depending on the time of year, you can partake in celebrations like the annual Half-Day Food and History Walking Tour, the Annual Holiday Lighting celebration, the New Year’s Eve celebration, and more. Learn about the history of the Pueblo Nation and early Spanish occupancy at the New Mexico History Museum. This place has interesting archaeological artifacts that date back over 400 years. 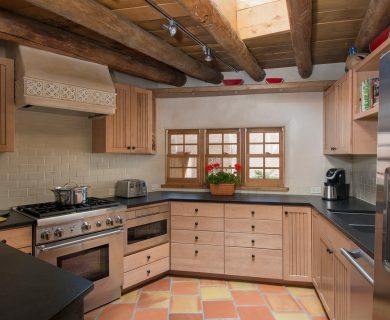 Next time you visit Santa Fe, think of AQUI Vacation Rentals for a luxury respite away from the outside world. 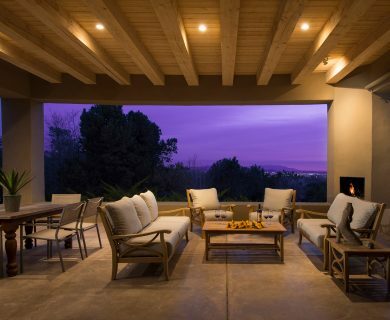 Our world-class homes and furnishings, coupled with our extraordinary commitment to service, will ensure you have a relaxing experience you will never forget. 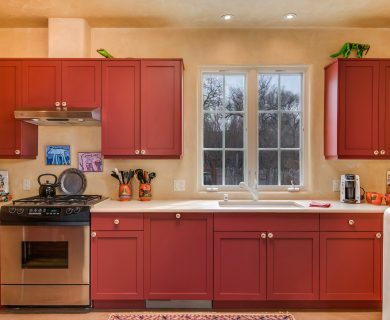 At AQUI, no detail is too small for us, and we take pride in making sure all of our customers needs are fulfilled to the best of our abilities. 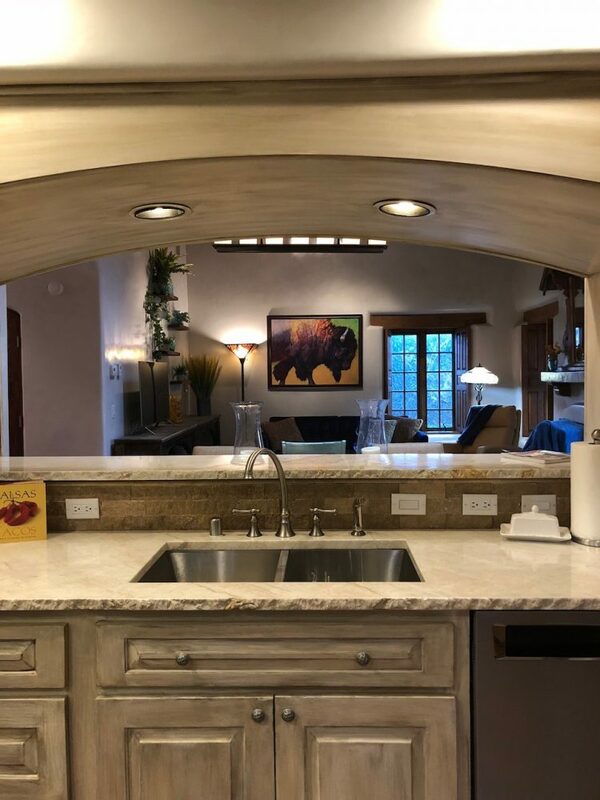 When you stay with us at one of our Santa Fe vacation rentals near the Plaza, you are treated like family, and we will always ensure you are offered the best amenities at an affordable price.